Why do some doctors know so little about fibromyalgia, Lyme disease, myalgic encephalomyelitis/chronic fatigue syndrome and other chronic illnesses that are becoming increasingly common? And how can you get the support you need to recover? To get answers to these questions and more, watch the video replay of the webinar, When Physicians Become Patients, which we’ve shared below. Hosted by Dr. Bill Rawls, author of the best-selling book Unlocking Lyme, and Dr. Neil Spector, one of the country’s top oncologists and author of his memoir, Gone in A Heartbeat: A Physician’s Search for True Healing, it offers invaluable wisdom for finding recovery. Both doctors have the unique perspective of physician-turned-patient: After decades of practicing medicine, severe chronic Lyme symptoms and fibromyalgia forced Dr. Rawls to put his career in obstetrics/gynecology on hold, and misdiagnosed Lyme ultimately cost Dr. Spector his heart. The When Physicians Become Patients webinar originally aired on June 6th, 2018. We’ve also added a transcript for your reference; you can read it in full, or click on a specific topic to jump straight to that portion of the conversation. Tim: Good evening, everybody. 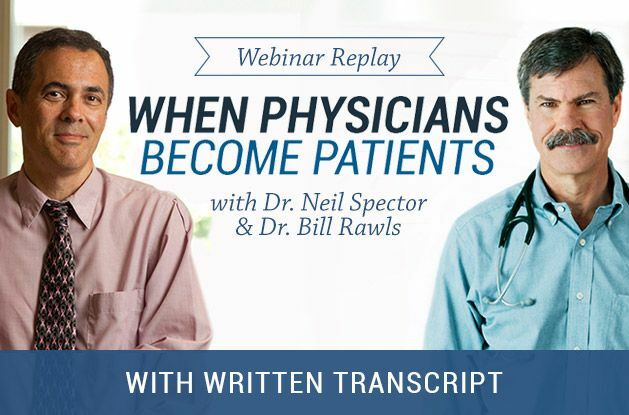 Welcome to “When Physicians Become Patients: Personal Stories of Mystery Illnesses, Misdiagnosis, and Recovery” from Dr. Neil Spector and Dr. Bill Rawls. I’m Tim Yarborough and I’ll be your moderator this evening, joined shortly by Dr. Bill Rawls and special guest Dr. Neil Spector. We are really looking forward to sharing this evening with you, we’ll have a great conversation with both of these doctors sharing their unique perspectives of physicians turned patients. Stick around after the interview, we will have a live Q&A. We’ve read through the hundreds of questions that you all sent us and we’ve crafted an interview that will hopefully respond to as many topics as possible that you all asked about. Afterwards, we will have time to do some live Q&As, so stick around for that. If we aren’t able to get to your question, feel free to send a email to info@vitalplan.com or you can visit RawlsMD.com to check out a lot of great articles and blogs there that might answer your questions. We do have a great chat moderator staff here tonight, but due to the number of chat, sometimes we can’t respond to everybody, so we ask that you keep those brief and of a non-medical nature since we’re a non-medical practice. I just want to emphasize that none of the information in this webinar should be considered as medical advice, so please do consult with your medical provider before you make any modifications to your lifestyle or medications. So, Dr. Neil Spector and Dr. Bill Rawls will be with us in just a few minutes here. They were recently featured on People’s Pharmacy together, and here’s a picture of them at a recent conference in the northeast. Dr. Spector is a leading oncologist and works at Duke Hospital. He’s the author of his memoir: Gone in a Heartbeat: A Physicians Search for True Healing. 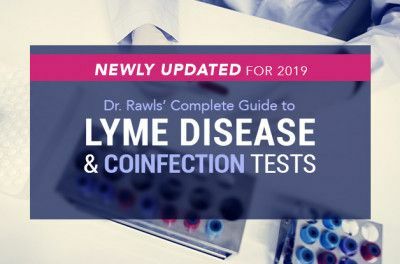 Dr. Bill Rawls is the Medical Director of Rawls MD and Vital Plan, and has written on many topics from Lyme disease to fibromyalgia to chronic fatigue syndrome and a variety of other health and wellness topics. He’s also the author of Unlocking Lyme. They are both really passionate about sharing, from their experience, personal and professional, about helping people accelerate their recovery and navigating through a variety of chronic illnesses. Dr. Spector and Dr. Rawls, if you would go ahead and join us now. Without further ado, we’ll introduce you. Here we are. Hi, guys. Thanks for joining us tonight. Tim: Great. Well, I just want to start off, if we could, some folks are familiar with either one of you or maybe both of you, but for those that aren’t, Dr. Spector, would you start out by just sharing a few minutes about your story of turning from a physician to a patient? Dr. Spector: Sure. Thank you. First of all, Bill, thank you for having me and inviting me down here. Dr. Rawls: A real pleasure. Absolutely. Dr. Spector: And your staff is tremendous. Thanks for feeding me too. Dr. Rawls: Thanks for coming. Dr. Spector: So my story — probably a lot of the listeners will be able to relate to this. I was in my mid-thirties and thought I was the model of health. I ran Boston marathons, I lived in Boston at the time. I used to run 10 miles a day, six days a week, I never smoked. I did all the right things, maybe I did too many of the right things and had a great job. I was an oncologist at one of the top cancer centers in the world, Dana-Farber Cancer Institute doing research, and I loved what I was doing. The, over a relatively short period of time, my family moved from Boston to Miami. I took a job at the University of Miami and literally within weeks of moving became debilitated. I went from running 10 miles a day to barely being able to walk 10 yards without feeling just completely fatigued. I started having arrhythmias — I would have these episodes that might last 30 seconds, 40 seconds of just a racing heartbeat, 200, 250 beats a minute without having any particular reason. As a physician I knew that something was wrong. I had an episode of brain fog where I would tell people it was like taking 50 milligrams of Benadryl every two hours. I was taking care of very sick patients. I tell a story where I gave a talk to a basic science department about my research, I walked out and somebody said “That’s really fascinating,” and I had no recollection of what I had just spoken about for an hour. Dr. Spector: Anyway this went on, and I went to my doctor who was very compassionate. He was a colleague of mine at the university, and he ran the usual blood counts, chemistries, liver function, kidney function… but everything looked normal. At the end of the day I was told all the time that I was stressed. I’d moved from Boston to south Florida. It was an adjustment in moving. I was starting a new faculty position at a laboratory. I was in and out of emergency rooms constantly. For someone who had really been the paradigm of health, I went from that really quickly to someone who could probably write a book on every emergency room in South Florida. And with every emergency room visit I would get the same response. “We can’t find anything wrong.” They’d do an EKG, I had some holter monitors so I was never able to capture those transient episodes of rapid heart rate. I was told that I needed biofeedback, I needed to see a psychiatrist, I needed to go on an antidepressant, all these things. I knew all the time that I had been stressed in my life, I mean back in the days of residency before hours were restricted, I’d worked 130 hours a week in a very busy hospital and had never experienced anything like that. For four years I went on. I did biofeedback, I did meditation, all the things that were asked of me. I loved it, and I still enjoy doing those today but, at that time my symptoms did not improve at all. So finally after four years and feeling like any morning I might not wake up, I mean it was just that I knew that I was dying of something, and I just didn’t really know what it was. And again, the symptoms were very cardiac in my manifestations. Cardiac and fatigue. The arrhythmias and fatigue. And I had other things like burning sensation in my heels — very dramatic. I’d tell people they were night terrors. They weren’t like nightmares. Profound insomnia. To say I had insomnia would really not be doing credit to what I was experiencing. Dr. Spector: Finally after four years, I developed a persistently slow heart rate of about 40 beats a minute, which if I had been running marathons, I hadn’t really done anything in four years, that might be okay. But for me, there was clearly something wrong. I also started having these episodes where I would wake up in the middle of the night with these explosions — these white light explosions, headaches, and I continued to have these intermittent episodes of tachycardia. So I had a cardiac monitor at the time, which finally revealed what had been going on for four years, which was that I was having episodes of ventricular tachycardia — a potentially life threatening arrhythmia and one of the most common causes of sudden death outside of a hospital setting. And I probably had thousands of episodes over the four years. It was I think very lucky that I didn’t die with any one of those episodes. Dr. Spector: The white blinding light was that I was having pauses between heart rate, between heart beats of six seconds. So for six seconds my brain wasn’t getting blood flow. And the slow heart rate was that I had what’s called third degree heart block. It’s not that the vessels were blocked, it’s that the electrical systems of my heart were screwed up, and the impulse, the normal impulse that we take for granted, we normally don’t think about why we have a heart rate of 70 or 60 or whatever you have, but it’s because we have an exquisite electrical system in our heart. Mine was shot, which is a classic sign of Lyme disease. So I made my doctors do the test. They were going to put in a permanent pacemaker and I said “Wait a minute, let’s figure out if I have Lyme disease.” Four days later I get a call from the head of cardiology he says “Neil your test is negative.” Now at the time, I didn’t really know what a negative test meant. I figured the test is negative, I had the test sent to a reputable, or what I thought was a reputable academic lab in the northeast — an ivy league institution that shall remain nameless for the time being, and so they put a permanent pacemaker in. And I didn’t get better with the pacemaker. My doctor said “You’ll get better, you’ll feel better, your heart will be regulated,” but I didn’t get better. I was treated very aggressively. I had a PICC line put in. I received daily intravenous antibiotics, ceftriaxone and some oral antibiotics. Almost all of my symptoms resolved; the burning sensation, the fatigue improved, except that my heart never resolved. So the damage that had been done was permanent and I continued to require a pacemaker and defibrillator. For the next 11, 12 years actually I lived with what I found out several months after the pacemaker was put in, which was a severely damaged heart. I had about 10% heart function. And managed to, we’ll talk about some of these things later, but I managed to live a very productive life developing two cancer drugs that are molecularly targeted, coached my daughters soccer teams, got shocked along the way, which I describe in the book which is an experience I wouldn’t wish upon my worst enemy. And finally in 2009, I’m coming up on my anniversary over the summer of 2009, went into florid heart failure and required an emergency heart transplant to save my life. Now I’m back to living a very productive life, feeling good. My wife told me that I’ve had my one body replaced by part for my life so I’m not running marathons. I’ve run a few half marathons and still run, but I’m very thankful to be alive today. So Bill, I’ll let you tell your story. Dr. Rawls: It’s a striking story. It’s interesting that we have had such a similar course, but different outcomes. I’ve been a physician for 30 years. I was trained in obstetrics and gynecology and had this idea of getting the best training that I could and taking it to a rural area off the coast of North Carolina, which I did. I practiced for 15 years and in my late 40’s I had similar situation to Dr. Spector, that my life was just turned upside down. First was severe insomnia, and basically the burning feet, all those same symptoms I went through along with the cardiac manifestations. I had constant chest pain, my heart was skipping beats every second to third beat. I didn’t get the severe heart block but I had fairly severe cardiac manifestations. I ended up with a cardiac cath, a holter monitor, everything; and they basically said “Well we can give you this beta blocker and it might help some, but otherwise we don’t have much to offer,” which was before that I knew when I had Lyme disease, and it was later that it became evident and the testing was finally positive. I tried courses of antibiotics and just got sick every time I used them. They just tore my GI tract apart. I became frustrated with the medical system. By then I had basically lost my job, I couldn’t practice obstetrics and gynecology so I left the practice that I helped found, and started a little medical practice with this idea of wellness, that I was going to make myself well, and help other people do the same. I became frustrated with the medical system and basically took a leap of faith and began not only changing my lifestyle, but taking very high doses of a very wide spectrum of herbal supplements. Over a five year period, I gradually got my life back. It’s definitely a different way of looking at a very similar situation. It’s a different perspective, and I think Dr. Spector and I are both learning from each other and the things that we can bring to the table from both those angles are really important. So we’ll go at it here. Dr. Spector: I wish that you’d been in practice when I was sick, I would’ve definitely come to you. Dr. Rawls: It was desperation you know? I didn’t have the funding. We had two kids in college and all these expenses and I suddenly lost my income. I couldn’t go to big institutions, I couldn’t go to Lyme doctors, I couldn’t leave my practice, I didn’t have a diagnosis, I couldn’t declare disability, it was pretty stressful times. But it forced me to do things that I don’t think I would have done otherwise because I had no other options you know? Sometimes you do what you have to do and your intuition leads you in a certain direction. Dr. Spector: Right. Gut instinct. Tim: Thanks for those stories you guys that’s great to hear the background I’m sure for everybody. It’s cool to see how you guys are learning from each other and teaching everybody about your different perspectives. Dr. Rawls, if you could, we’re going to direct the first question your way in regard to testing. Can you speak a little bit about some of the shortcomings or even lack of testing for conditions like Lyme, chronic fatigue, fibromyalgia, and other lesser known conditions? Dr. Rawls: Sure. I think it, first of all, we tend to look at microbes from the point of view of: A microbe can’t cause an illness, and that’s very true for highly virulent or, microbes that have high potential to cause illness. Tuberculosis, Ebola virus, things like that. But when you look at these lower grade things that are just working in the background causing chronic illness, they’re much harder to find and often it’s not one microbe, it’s a spectrum of microbes and how they’re affecting the immune system. So, I think one thing to talk about is testing an acute illness and testing a chronic illness. 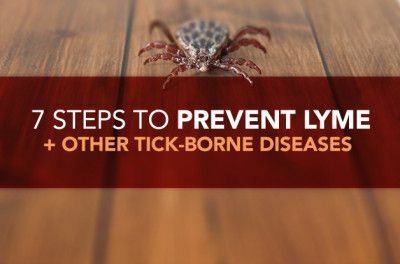 When you have an acute infection Borrelia, the microbe that’s commonly associated with Lyme disease, you’ve got an acute reaction by the immune system and you’ve got the microbe in transition from where it entered the body in the bloodstream into tissues. So you’ve got this window of opportunity that, not only are you going to be able to affect it better with antibiotics, but you’re also going to be able to have an easier time of finding it. 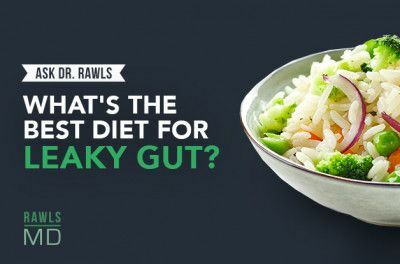 Dr. Rawls: But once that thing becomes disseminated in the body, it’s in very low concentrations in tissues, and the immune system reaction has become more attenuated. When we look at testing, most of the standards — the sensitivity of the test, how good it is in picking up the microbe, mostly what they’re looking at, they’re defining the test in terms of what it will do to pick up an acute infection. So basically they’re taking that test and they’re taking a known population of people to see how well that test performs in a population of people that we know have the microbe. So, if it’s a 95% sensitivity then there’s a 95% chance that if you’ve got that microbe in your body and that you’re going to find it. We’re looking more at acute infection, but most of the people out there are having chronic symptoms, so by the time that that infection becomes chronic there’s less probability that that testing is going to be good, at least with the tests that we have today. You’ve got direct testing for particles of the DNA, of the microbe PCR, and you’ve got the reaction of the immune system called serology or antibody reactions. Both are valuable, but both start to lose some of their value when you look at testing in a chronic population of people. Tim: Great thank you. And Dr. Spector you’ve written a lot in your book on the medical system’s over-reliance on testing. Can you speak about what doctors should be doing instead to diagnose patients? Dr. Spector: Sure. Well I think this goes well beyond just Lyme disease. First of all, just to make a comment about Lyme disease, we speak of Lyme disease as if it’s one disease, as if everyone has the same illness. I make the analogy that this is very akin to the way we talk about cancer. People talk about cancer as if it’s one disease like every cancer is exactly the same. We know that there are thousands of cancers. As an oncologist, if someone says to me, “I’ve got breast cancer,” that really doesn’t mean all that much anymore. It’s much more complex. I think that the lay population thinks that personalized precision medicine means that you’re going to have, for those of you old enough to remember Marcus Welby — you’ll have your doctor over your bedside telling you and holding your hand, “I’m here with you.” We’re moving in a direction that’s about as far from that image as you can imagine. Do we’re moving into this genomic era where everybody, to be honest with you, when you’re born, infants will have blood tested for their genome and it’ll end up on their phone when they’re old enough to get a phone. So, you’ll carry around your human genome. Dr. Spector: Now there’s people who promised, the human genome project, which was a massive undertaking to clone the human genome, I think it was a tremendous scientific feat, but we were promised as tax payers that paid for that, that it would solve the ills of society. We would figure out diabetes, high blood pressure, cancer — it’s all in the human genome. Well, the sad thing is that it’s not all in the human genome. It’s not. Your genes are part of the story, your environment; what you eat, what you do, whether you lay around, whether you exercise, whether you’re stressed … so we’ve ended up with this wealth of genomic information where we can take single cells out of the blood and sequence them, and yet we still have people who are chronically ill and aren’t getting better. I’m still at a major medical center, I teach young physicians in training, and often I’ll tell them, I’ll say, “Did you examine the patient?” And they’ll say “No, you know I’m on the computer I’m looking at the labs,” and I’ll say “No you go in the room and you lay hands on.” Number one, we know that just touching a patient is therapeutic. I always hug patients because I know, as a patient, I always enjoyed when my doctor hugged me. Because you’re releasing endorphins and good things, it’s therapeutic. That’s painting the full picture. You can’t just use one color, which are the lab tests, and expect to have that person down pat. So, my fear is that we’re laying less hands on people and we’re listening less. The average physician’s appointment in the U.S. is about 15 minutes. And for anyone who’s gone to a doctor lately with electronic medical records, you’re sitting on the table and they’re typing it because if they don’t complete the record, they get penalized. Dr. Rawls: Yeah, you don’t get as much funding. You don’t get paid. Dr. Spector: Yeah, so not only is your doctor not touching you, they’re not even looking at you half the time. Dr. Rawls: Yeah, it’s true. Dr. Spector: As a patient that really bothers me. Dr. Rawls: Yeah. So to prove that that idea of our genes; our genes are really important, but at any given time, we’re only using about one percent of our genetic material. So we have all these redundant genes that’s basically a record of hundreds of thousands of years of human ancestry that’s recorded in those genes. And so, there are many genes that we don’t use. In fact most of them we don’t use. But the concept of epigenetics I think is very important and that’s basically the concept that environmental factors can turn off or turn on genes. When you look at how environmental factors are influencing our genes, the environmental factors are much much bigger and more important. So what you do, how you go about life, what you eat, how many toxins are you exposed to. All of these things are affecting your genes and I think that’s really important. Even people with really bad genes like the BRCA genes that we look at a really high rate of cancer, but hey, there are more people with those genes that don’t get cancer than are that do get cancer. What that says is that even if you’ve got the worst genes there’s still things that you can do to affect your environment to bend things in your favor. I think that’s really remarkably important. Dr. Spector: Yeah and I completely agree with that. I’ll give you an example of a sort of a pearl for everyone watching here. There’s going to be plenty of pearls here. There’s been plenty of studies done in animals showing that if you take two mice, one has a human cancer, a breast cancer — it’s been done with breast, ovarian. You take one mouse and you put the cancer in, and then you separate that mouse from it’s litter mates. Now that’s an incredible stress for mice. Mice like to be with their brethren. And you take the other mouse that has the same cancer but you keep it with it’s litter mates. You know what happens? The mouse that’s separated, that’s stressed that tumor metastasizes like crazy. It goes to the lung, it goes to the lymph nodes. People have actually mapped that out to be related in part, because I’m not one that ever thinks that it’s as simple as one thing, but they’ve really mapped it out to the sympathetic nervous system and what they call the beta adrenergic receptor. Now, it’s interesting because the primary tumor isn’t really affected, but people with cancer don’t die of their primary tumors. They die when it metastasizes. So you can stop that metastasis in these mice by giving a beta blocker. Now, I was on a beta blocker, sounds like you might’ve took, they’re terrible drugs to take. Dr. Rawls: I didn’t tolerate them. They worsened my insomnia and I never could take them. Dr. Spector: Yeah. I had to take them when I had severe heart problems. But, what I tell people is, so they’ll say like “Why aren’t we giving everyone a beta blocker?” And I’ll say “You know what? There’s other ways to reduce the sympathetic system.” Meditation, exercise, whatever calms your mind. Painting, dancing, singing, whatever it is. That’s sort of a safe beta blocker. That’s nature’s beta blocker. Listening to music. So what we need to do is, but very rarely, how many times have you gone to your regular doctor and have they had the time or the inclination to have a discussion about “How stressed are you? What’s going on in your life?” I mean it’s generally like “How do you feel? You look great. Your labs look great. I’ll see you in 6 months.” So we need to take that away from them. Tim: I just want to loop back around to one more follow up on the testing question. Given the number of false negatives, when is testing a beneficial thing to do? When should people think about using a test? Dr. Rawls: Are you asking me that one Tim? Tim: Either one. Whichever one. I mean, when do you think it could be beneficial? Whether that’s your management or how you’re focusing your recovery or whatever you’re doing. Answer that question before you get that information. If the answer is “Well it’s really not going to change anything that I’m doing,” then that test has more potential for harm than it does good. Yes we all want to know as much as we can. I tested for the Borrelia, but as I came to know Lyme disease and recognize there were more and other infections, I didn’t go on this great microbe chase to chase down every one of them because I recognized that it wasn’t really going to change anything that I was doing. And if it may. If it’s a choice where, and I think your case is a very good example — finding the Lyme disease was the thing that propelled your recovery and so it did have great value. It definitely changed your life in a positive way once you headed in that direction. But I see so many physicians that are just shotgunning tests without really understanding why they’re ordering each test and sometimes that can be harmful. I don’t know if that completely answers that question. Tim: Yeah. No, I think that helps. You guys are amazing. You guys are physicians and have great advice. Dr. Spector: The other thing too about tests is that medicine really, medicine is an art. I do science for a living. I’ve trained in rigorous institutions, I’m published in scientific journals, but as a clinician and as a patient, and I tell people this and physicians may not like this, but what we know about the body from a scientific perspective I think you could fit into a thimble. Dr. Spector: So we’re never, I don’t think we’re going to have the answers through science. I mean this is why the earlier question about getting away from the clinical exam and listening to people, we can’t lose the art of medicine. We are not going to make this an exact science and that’s just not the way. Anyone that thinks this will be an exact science taking care of a human being, is grossly naïve quite frankly. I think that tests are good. Tests can help us narrow things down but at the end of the day as clinicians we’ve got to use our clinical skills and we’ve got to rely on, we’ve got to be able to listen. Being a clinician — being a really good clinician — means being a good listener more than anything else. If you don’t have a good clinician, if your doctor doesn’t listen to you, I’d say find a new doctor. The best clinicians that I know are the ones that don’t need a test and can sit there and do an exam and pretty much tell you what’s going on without having to get MRI’s and CT scans and other things. I think tests are important, I personally believe that we don’t have good testing right now, there are people working on tests for Lyme for some of these other poly microbes and for multiple strains and species, but I think right now the physicians that I see that are really the giants in this area, are people who have good clinical judgment and also who have good gut instincts when it comes to taking care of people. Tim: Great. I want to build on that direction. As far as working with your physician, Dr. Spector can you speak a little bit about why a good relationship is key to recovery? How it can change your course of treatment? Dr. Spector: Yeah. I mean, there has been study after study and this is just common sense that, patients who feel empowered and actively participating in their care, do better. I don’t care what the disease is. If they have diabetes they tend to have better blood sugar control. If they have high blood pressure they tend to follow their diet and exercise. The reality though is that most patients, and they’ve done studies, most people who go to doctors come away feeling like they just heard a lecture rather than feeling like they’re an active participant. I think it’s incumbent. Look, no one cares about your health more than you. You can have the most compassionate doctor, but at the end of the day you’re the one who’s going to suffer the causes or benefit. I tell people that one of the worst things about having a chronic illness is that feeling that your life is out of your control, right? You’re told “Show up at this time for your scan. Get this blood test. Take this medicine. Do whatever.” You feel like a puppet and somebody’s pulling the strings. I tell people all the time, “You have control. Do not abdicate control over your life, over your health to someone wearing a white jacket,” okay? Healing is a joint process. It’s an interaction between a practitioner, it doesn’t have to even be a physician, there are tremendous nurse practitioners, physicians assistants, it’s between a healthcare provider and you. Dr. Spector: It’s a team effort. This is not somebody telling you “Listen to me and I will cure you.” That’s not the way it works. Even with the people I’ve helped with cancer, I’m not that egocentric that I would say “That was my therapy that I gave them that cured them of the cancer.” No, you know what? It was that person and whatever they did to their body, whether it was diet or exercise or mind body or stress reduction or praying — I’m a firm believer in the power of prayer — it’s all of those things perhaps, plus my treatment and their body being more receptive to whatever I did that led to a cure. And so, whatever you do, if you walk away from this evening with one important message, it’s that “Do not give away your power.” You’ve got tremendous power to heal yourself and what you need to do is develop a relationship and find a physician who is willing to develop a relationship, who will listen to you, who will work with you and who won’t sit there as if, just because they have an MD or diploma from Stanford or Yale, that they can talk down to you. I think that if you can’t develop a good relationship with your doctor, I think time and time again studies have shown that people tend to do worse who feel hopeless in that relationship. Tim: That’s such an important point. Is there any more advice on how you can as a patient, take back your control and when, it’s not working out, when you should cut your losses and find a new provider? Dr. Spector: I know, speaking for myself, that I’d be dead if I didn’t take control of my life. If I sat there and said “Yeah I think you’re right.” Listen to your gut instinct. Your gut instinct is not just an upset stomach. Your gut instinct is something inside telling you there’s something wrong here. Now that’s not denial. It’s not the same as denial where you say “I’m fine.” If your gut instinct says “I don’t really believe,” like mine did when my doctors said “You’re stressed. You’re stressed,” and I knew that something was wrong. If I had just stopped taking the reins and saying “I’m not going to stop until I figure this out,” I would’ve been dead a long time ago. Dr. Rawls: Yeah I agree with that. Dr. Spector: Yeah. This all goes back to: no one can care more about your health than you. You’ve got to care enough about your health that regardless, as I said if you feel that you’re not getting adequate care, I say go find somebody that you feel comfortable with that’s good and stick with that person. Dr. Rawls: Sure. Yeah. Sometimes that is easier said than done. I agree 100%. The ten years that I had my medical practice and all the people that I’ve come into contact with with the programs that we do, which ranges in the thousands now. The people who get well are the people who take personal accountability. Personal accountability is key. Beyond that, what we try to do in our programs and what we need to do more of in the medical system is patient empowerment. Giving people the skills that they need to change their own situation instead of being this dependent person who’s sitting there frightened, fearful and has nothing to do. When people make the decision that they are going to get well, that’s when their recovery starts moving in a positive direction. The frustrating part of all it is that a lot of physicians do get trapped in a situation where it’s very difficult for them. I found that, I did an OBGYN practice for almost a little over 15 years and then I did primary care and with this idea of wellness and I wrote all these programs. I’d send people home with CD’s to read and I took like an hour more with every single patient, stepping them through trying to help them with that patient empowerment. Dr. Rawls: I tried to be the physician that I wanted to find myself. What I found was it was extremely taxing, and because the system rewards physicians for doing procedures and not for counseling, that it’s very hard to make a living. There were years that I had a hard time paying my staff much less taking home a paycheck, because the more I made my patients healthy and empowered them, the fewer tests that I did, the fewer procedures that I did, and the lower my reimbursements got. It was very frustrating. The other side of that is, I would suggest: be sensitive to your physician’s situation. They may want to give more and here they are with computer. They have to do the MR, they have to get the code to get paid, so they’re in a very frustrating situation. A lot of physicians are very unhappy in their profession. One thing I would say is be kind to your physician. Be kind to your provider. Be sensitive to their situation which can be as frustrating as the frustration you’re having with them. I used to tell people to try to give them guidelines you know “No physician wants to see a patient who walks in the door with a list of 20 symptoms and all kinds of problems because they’ve got 15 or 20 minutes to figure it out and change that persons direction.” Well they’ve got really enough time to start writing prescriptions and that’s about it. I would encourage people to be very specific for what you’re asking of your provider. Limit it down to one key thing that you want to address with that visit and be sensitive to the fact that your physician may be, may not have the time that they actually want to give you. The other thing that I would say is, I never object to this, if somebody says “Can I record this?” Because often people come in, they’re in a doctors office, the stress of being in a clinic and they forget exactly what you told them. I’d say either bring somebody with you that’s medically savvy or can take notes or record it and go home and listen to it. Dr. Rawls: Yeah that’s a good idea. Tim: That’s great advice, both of you. Dr. Rawls especially, mentioning a lot of people don’t think about the physician. I think that ties in really well to the next topic of Lyme awareness and just the fact that there is such poor awareness around Lyme and a lot of these lesser known conditions. You know there are, according to the CDC, an estimated 300,000 cases in the U.S. annually — new ones. As opposed to breast cancer, invasive breast cancer, at 253,000. Even though there are more cases of Lyme a lot of people do not know about it. Insurance doesn’t often cover it. Let’s talk a little bit about why isn’t there more awareness about these chronic illnesses in the medical community. Or why there isn’t more investment and diagnostics and treatments. Dr. Spector: I mean, doing research I can tell you that the priority of the government, so the majority of research comes from the federal government whether we like it or not. There’s a priority and the priorities are based on what the people at the NIH are told. So they’re told obviously cancer is a priority. People are dying of cancer. Despite the fact that we’ve made advancements in diagnostics, 40,000 women a year still die of metastatic breast cancer. And some cancers we haven’t really even breached: pancreatic cancer, some brain tumors. If the people in DC are being told by the experts, “Lyme disease, this is an easy to diagnose, easy to cure,” then why would they want to spend money on that? Or if, Bartonella isn’t even on the radar screen. Forget Lyme disease, Bartonella no one even talks about. We talk about it, but in DC. The priorities, what people are hearing … if what people were hearing in DC is this is a huge public health crisis and 340,000 is just the tip of the iceberg. Children are being just completely decimated their lives. Dropping out of school and unable to function and people are dying from these diseases. This isn’t just sort of a nuisance “I’ve got some arthritis, I’ve got some pain, I feel fatigued,” people are dying all the time from this. Dr. Spector: I came about as close, given 72 hours to live, as can come from the ravages of these diseases. If people heard that message then we’d see change quite frankly. So I think that until that message is heard that “Wow this is a huge, this is one of the biggest public health crises that we face,” there’s not going to be much change, sadly. Dr. Rawls: Yeah. I like to talk about it from a point of view of virulence. The same topic. Virulence is the propensity of a microbe to cause illness. And when you look at Lyme disease, most people who develop acute Lyme disease don’t get very ill. You didn’t remember a tick bite, I didn’t. I got bitten by ticks all the time. It’s harder to, for physicians, to understand an illness that doesn’t cause a severe acute illness. But people who develop chronic illness, that’s hard to find. It’s hard to find the microbe. It’s very frustrating. We like things that are well defined. So when you’re talking about something that gets attention, let’s talk about a highly virulent microbe. Let’s talk about Ebola virus. Look at Ebola and the story it caused worldwide. Everybody on Earth was afraid of getting Ebola virus. It was really not very widespread when you look at the total world’s population. But it was very sensational because it was a very highly virulent microbe. Virtually everybody exposed to it got sick. They got very badly sick and most people died when they got it. That creates a great sensation. Money poured in from all directions and we were able to contain it. So looking at Ebola and how it affects people, which was really a much smaller scale than Lyme disease, but they are two so different illnesses. We tend to look at things and get excited about things that are acute and severe. Most of our medical system is designed to treat acute illness. That’s what the whole thing is based on. So we do a really great job treating acute illness. We had all the scientists of all the world looking at Ebola virus and “How do we contain this thing? And how do we build vaccines and drugs for it? And how do we keep people alive?” Whereas if you’ve got this other thing that’s just smoldering all over the world but it’s hard to define and we don’t understand it, nobody wants to mess with that thing. Dr. Spector: You know it’s funny, the acute illness and the chronic illness, as internists the majority of what we treat are chronic illnesses. The people who cure disease are surgeons. “You’ve got appendicitis I take your appendix out.” High blood pressure, we don’t cure high blood pressure, we’ve converted it to a chronic illness. People live long, “As long as you take your medicine or live the lifestyle, I don’t want to get hooked on the medicine, but as long as you do what you need to do you can live with it.” Diabetes. We don’t cure diabetics. They live long lives, thankfully most people. We don’t cure asthma. You can go down the list of all the medical problems that in internal medicine, we don’t cure. But we’ve managed to have people live long lives. Dr. Rawls: I can give a little personal note on that one. When I was in my thirties, my mid thirties, high stress lifestyle working 80 to 100 hours a week taking call every second or third night, at that time not a good diet. I grew up in the fast food generation. I was diagnosed with essential hypertension. On any given point when I went in, or this just started when I was in residency, they would check my blood pressure and it would be 150 over 100. 150 over 110. I tried all the medicines and it just did not tolerate well. I finally just said “You know, that’s how I’m going to go. I’m just going to have to live with this.” Then Lyme disease came along and I did all the lifestyle changes and embraced the herbal therapies and the diet and all of the things that you should do to overcome a chronic illness. Guess what? Here I am at 60, I take no medicines for hypertension. At any given time my blood pressure typically runs about 115 over 70. What it shows is, what we’re doing in a lot of cases is we’re treating the process. We’re blocking the process artificially. But when I started that recovery process it was restoring everything in my body back to normal including my cardiovascular system. I didn’t have this, I wasn’t genetically prone and I didn’t have this essential hypertension that I was genetically born to have. I was just not treating my body well. Dr. Rawls: And it was really doing a number on my cardiovascular system. Once I stopped doing that it went back to normal. Tim: Alright. Thanks. Let’s move on to the future of treatment for these things. Dr. Rawls if you could start us off, I know you left conventional medicine to pursue more natural approaches both for yourself and for others, how do you think that that line of work, of approach will progress in the future? Dr. Rawls: I think there’s a place for everything. I often show that little diagram of the pyramid with the restorative, symptomatic and heroic therapies. And I think that within our medical system or possibly even outside our medical system, I mean that’s so much a big part of what I do now, is that patient empowerment. Teaching people that when you go about your life with self destructive behavior you’re going to get sick. Living a life where you’re eating good food, you’re looking at how you’re balancing your life with stress and work and you’re doing things that you enjoy in life that promote well-being, you’re going to end up with an exceptional lifestyle. That’s education. That’s certainly within the medical system. I’ve said many times that we probably need more health coaches than we do doctors to help people understand what they need to be doing to create a healing environment in their body. And then we leave everything, other things, to the medical system. So all the things that Dr. Spector is doing with these really innovative immune therapies and things that we’re doing in cancer research, we have to do all that too. But you can’t rely only on that. You have to look at the thing from patient education, from helping people understand how to help themselves. And help them understand how to use the medical system better. Then we can start devoting those resources and the need won’t be as great. You know if you’ve got a whole population of people that is following self-destructive behavior every day, your healthcare bill is going to be extraordinarily high. If you can have people doing prevention and doing things that are helping their own situation, then we can start targeting those resources to a smaller need so it makes a bigger impact. Tim: Dr. Spector I understand you’ve done a lot of research on immunotherapy for cancer cells and possibly microbes, can you talk about how that might translate to therapies for Lyme or other chronic illnesses? Dr. Spector: Sure, well it’s interesting in my lab now — for me this is one of the consequences of getting Lyme disease — has really transitioned pretty remarkably from cancer research to research in Borrelia, Bartonella as starters. Using the lessons that we’ve learned in cancer research, we don’t need to reinvent the wheel here, we’ve really tried to get away from chemotherapy, it’s certainly not mission accomplished yet, but the immunotherapies the targeted therapies, drugs like Herceptin women for breast cancer. We actually have a very active program. Really twofold. One is to develop targeted therapies, so these sort of smart therapies that are selected based on the microbe. We’re working, a lot of the genomic data for these microbes is done. So we’ve got databases for hundreds of strains of Borrelia and species. We’re looking at targeting targets, proteins that we believe are intimately involved in the survival of these organisms that will not cross react with our normal tissues and will not cross react with the normal gut microbiome. These are not antibiotics, these are smart therapies that will cross react with multiple strains and species of the bugs. That’s one. The second is that for the longest time the holy grail of cancer has been “Why doesn’t the immune system recognize a cancer as being foreign and eliminate it?” Now, the transformative treatments in cancer that now are capable of unleashing your own immune system, again this is sort of the holy grail, let’s have a person’s own immune system recognize the cancer as foreign and eradicate it. That research was not specifically done for cancer. That came out of chronic viral infections. Dr. Spector: So we know that when your immune system is activated, let’s say you have a cold or you cut yourself you activate your immune system, almost as soon as you activate your immune system there are changes to shut the immune system off. Otherwise we’d all be one big walking ball of autoimmunity. So there’s sort of this ying and yang. You activate it and literally as you’re activating the lymphocytes and other effector cells you’re already starting to shut them down. Now cancer cells, and again, chronic viral infections figured that out a long time ago, hepatitis C, hepatitis B, some parasitic infections leishmaniasis, they run below the radar screen just like cancer cells because they’ve figured out that the normal breaks on the immune system, they’ve hijacked those breaks. So the immune system becomes fatigued. The cells, if you look under a microscope in a cancer cell, often you see a bunch of lymphocytes right outside the tumor and it’s almost like there’s an invisible block. And in fact I can tell you that when I go to clinic every Thursday morning, I see people with metastatic bladder cancer, lung cancer who are three and four years out with no evidence of disease who I think are going to be cured without chemotherapy. Dr. Spector: You could see when their immune system starts to kick in that a tumor on a scan just starts to shrink away and that’s it. So, what we’re trying to do is say “Those drugs are out there, those antibodies are out there that are doing that for people.” Jimmy Carter with metastatic melanoma is sort of the poster person. Why can’t we do that for chronic illnesses like Lyme disease and Bartonella and Babecia and Ehrlichia,and along with the sort of things that you’re doing to have the perfect storm, in a good way, to have that immune system overwhelm whatever’s there? Whether it’s a cancer cell, whether it’s a stalve bacteria or bacterium, that is the ideal scenario. I mean I’m certainly not an oncologist who loves to think about chemotherapy or radiation. I am not somebody, having gone through antibiotic treatment, who likes to think about antibiotic treatment, although there’s a time and a place for antibiotics that save people’s lives. But optimally we need to harness what our bodies were meant to do. Our bodies are incredible, we’re incredible beings, if you want to call it a machine. Every time I think about the body I get more spiritual in nature. We were meant to heal. You cut yourself there’s a whole coagulation pathway that forms clots in your platelets. You have an infection, your body was meant to heal itself. The problem is what we do to ourselves interferes with our innate, our bodies real drive to heal itself. So we eat crappy food, we don’t exercise, we smoke, we drink lousy water, we breathe in bad air, we’re stressed. We do all the things to try to prevent what the body was meant to do. Dr. Spector: But I think we’re at a tipping point. We’re at a really transformative point in medicine, certainly for cancer and I believe, for these chronic infections where we’re starting to really figure out how to harness the body’s immune system and to use it to our advantage. I know I’m speaking to the choir here and you can’t see this, I’m looking at all these wonderful medicinal herbs that Bill has in the corner here, and listen I feel healthier just sitting here. My blood pressure is lower, I feel as healthy as I’ve ever felt. I tell people, certainly in cancer, “The best cure for cancer is prevention.” We do need to really focus. For those of you who are healthy you should count your lucky stars and do whatever the heck you can to maintain that health. There’s not a one size fits all fix for this. I think there are incredible benefits. Even though we come from different spheres, I’m in the academic scientific research world, you’re in the equally scientific world just a different aspect of that. I think we share a lot. We’ve talked a lot about joining forces and doing some research together. But I think that the future, to get back to the future, the future is what you’re doing here, I think what we’re doing, and marrying those together in an incredibly powerful tsunami of well being. Anyway, I don’t know if we still have time, when I look at this and I get calls and emails all the time from people with Lyme and Bartonella and they’ve been through supplement regimens, they’ve been through antibiotics and they’re not getting better, I tell people “There is a lot of hope on the horizon. There’s hope right here at Vital Plan.” I have no stock in this company. I truly believe and I send people here because I think this is such an important part of well being and healing just as exercise and mind body and all the other things we should all be doing. I think there’s a lot of hope. And I think that in the not too distant future you’re going to see the kinds of things that people like me and others are doing to harness our own immune systems along with what you’re doing. I feel almost giddy at times thinking about the possibility for that. Dr. Rawls: Yeah. We live truly, in exceptional times. I was looking back at statistics for 1900 and the average life expectancy was 45. That doesn’t mean that people didn’t live a long time, a lot of people did, but a lot of people died in childbirth. A lot of people, the highest the top cause of death was tuberculosis, second to that pneumonia, intestinal infections. So we’ve done so much with technologies for modern antibiotic therapy used appropriately, vaccines. There’s so many things that we have changed. But now, we’ve got this world where we’ve got this chronic illness and it’s not just because people are living longer, because we’re seeing chronic illness in 20-year-olds regularly now. So we have all these pressures of the modern world with toxins and these bad food and all these things, but what we have is we have choice, and we have knowledge, and it’s because of the internet that knowledge is disseminating very fast. So people can have the choice to be healthy, you really don’t have to wait for the future. We’ve seen just equally transformative things with people just changing the way that they go about life and embracing these things of creating that healing environment in the body, which you really don’t have to have high technology to do, you just have to make the choice to do it. Wow. So we look at all of it, the future is pretty bright for the people that want to make that special choice. Tim: You guys are full of so much great information here. The time has flown by and we’re already at an hour and ten minutes so, thanks for everything so far. I do want to move onto Q&A so we can at least answer a few of these for folks. If you could, the first one here and I know you’re both very active guys and then went through this pretty intense chronic illness, one of our viewers out there is curious about how you regained your physical stamina and endurance and ability to get back to being active? Each of you share your top kind of advice there. Dr. Spector: One thing that I did is I was never inactive. Obviously I wasn’t running marathons when I was really sick, but one of the worst things and I realize the guidelines for chronic, it’s somewhat you’d call it chronic fatigue syndrome, have changed. They used to recommend just exercise, but now it’s not just exercise because I think it’s clear with some of the pathophysiology of the disease, I’d say for a lot of people though, and I saw this in myself, I sat in a transplant room and I actually had what’s called an aortic balloon pump to keep me alive that was huge catheter put in a big vessel in my groin thread up into my aorta, that really on an emergent level kept me from dying. And I saw, and I was a pretty, even though I was sick for seventeen years with 10% heart function, I was on the elliptical exercising like a banshee. Probably better than most people my age with normal heart function. I knew that if I got de-conditioned, de-conditioned is one of the worst things that can happen. Number one, it’s a vicious cycle of: you feel fatigued and your muscles become de-conditioned. As your muscles become de-conditioned, they release inflammatory mediators. Your muscles are a huge reservoir of inflammatory mediators,so it becomes this cycle of not doing things, getting worse, feel worse so you do even less. I tell people that whatever you can do. I think that physical therapy and getting hooked up to wellness counselors and health coaches, but even walking around the block three times, or heck, you know walking for 10 minutes is better than not doing anything. When it came time for the transplant, a month before the transplant I was working out on a treadmill. I didn’t come into a major surgical procedure completely debilitated. Dr. Spector: My recovery would’ve been probably a year or more longer than it was, had I not come in having maintained my physical presences. Again not letting myself get de-conditioned. That was actually my secret. I also took one supplement. The one supplement that I took, I think the Japanese take it like crazy. I think there’s large studies now being done in the U.S. looking at Ubiquinol or CoQ10 which is an important component of the mitochondria. The energy, little energy producing areas of our cells. The organs in our body, the big muscles, your heart notably, uses a lot of energy. For me, I read a lot of the literature on Ubiquinol and I took lots of Ubiquinol. I personally believe that I did as well as I did through exercise, through mind body, and through a lot of Ubiquinol. 24 hours after I was out of the surgical ICU for my transplant I was walking three miles around the halls of the hospital. Dr. Rawls: Yeah. I think that’s the message: never give up. Retrospectively I think one of the things that was helpful to me was that I really didn’t have the option of declaring disability. I had to push through it. There were some days where I would crawl in the back steps of the office and paint a smile on my face and go see patients. I reduced my patient load. I created a situation I could control to reduce the stress, but at the same time I was always working toward trying to figure things out, trying to move me forward. But in my particular case, when I really embraced herbal therapy, my wife thought I was insane. I ordered all these bottles. I had a shoebox full of bottles of supplements and I was taking these massive amounts of capsules three times a day and I started getting well. It was an up and down course for a number of years after that, but it was obvious to me that that was making a huge difference. For me the herbs were key. I’d done things to control stress. I stayed active, I did all of those things but the herbs made a huge difference. That was the thing that was key in my personal recovery. Tim: Great. Thanks guys. Since you have both had some heart issues, another viewer out there is wondering, “How does someone know whether organs have been compromised forever, especially when they’ve got dramatic symptoms? Or when you can have regeneration, can you come return to full function? Dr. Spector: Yeah. I get a lot of calls because people say “I don’t want to end up like you.” Not that there’s anything wrong with me but you know that “I don’t want to get a heart transplant.” Which I wouldn’t recommend a heart transplant to anyone unless you need it. I don’t know that there’s a great answer for that. I think thankfully, first of all the body has tremendous capability of regenerating, even the tissues that we normally were taught in medical school don’t regenerate. Even in adults the brain and the heart have the capacity to regenerate. We’ve seen that with people, I mean there was a book written by a woman who was a neuroscientist and had a major hemorrhagic stroke on one side of her brain and rewired her brain as an adult. I think, thankfully, with the proper lifestyle interventions and I think treatment, most people will not go down a path of irreversible organ damage, but it could happen. The longer I think things are delayed, a diagnosis or initiation of treatment, whatever that treatment may be, the more likely the damage is done. We know that there’s another relative of Borrelia another spirochete called treponema which causes syphilis, and there’s three stages of syphilis. And when you get to the tertiary stage which is late syphilis, you can halt the progression but you can’t necessarily reverse the changes. I think as you’ve stressed beautifully and very importantly, early intervention is the key. Lifestyle, whatever that may be. And if there’s better therapies immune based therapies, earlier intervention. I don’t particularly know of a test that can tell you whether … people ask me all the time “How do I know if I have carditis?” There aren’t, I mean people do heart MRI’s which may show heart inflammation, but there’s not a specific test that says you’ve got Lyme carditis. Again a lot of this is clinical. As a clinician you’ve gotta put the pieces together. I’d say that it’s best to get treated early. It’s best to try to make a diagnosis early, although I realize that with lousy diagnostics that’s difficult, and with physicians not listening to patients and their problems. I went to multiple doctors before I was finally diagnosed. I think the earlier you can intervene in some way the better and the less risk of having some permanent irreversible damage. Dr. Rawls: Yeah I agree. It is always remarkable to me how much people can get back though. It’s creating that healing environment. When we talk about all the things that we do as physicians, but I think that Dr. Spector has really hit the nail on the head is that, the things that we do are really, the best things we do are just helping the body do what it needs to do. The more that the person can create a healing environment in their body, it’s remarkable what can come back. Back to talking about the future, I think we’re really in the very infancy of learning about stem cells and how we can use stem cell therapies. There is a lot of potential there for doing a lot of things. I think the future is very bright in that area also. So Dr. Rawls maybe we could start with you. If you guys could each say just briefly what resources there might be out there that people have not thought of that are really beneficial for them. Dr. Rawls: I think anything that enhances the ability of the body to heal itself is valuable. I started doing yoga many years ago and I found that that was very valuable. In recent years I’ve been doing Qigong, which is an ancient Chinese art of movement. Tai chi is a form of Qigong. Acupuncture and Dr. Spector mentioned before when were talking that he has done quite a bit of acupuncture. Any of those things. Anything that helps balance the systems in the body, helps balance the energies of the body can have a healing effect and can be beneficial. Dr. Spector: I agree with that all. The one thing I would say is my wife. She was the best resource. Hopefully she’s out there watching this. Dr. Rawls: You know mine too. I would agree. Dr. Spector: Actually, I really mean that because I think having a supportive environment is healing. That is so important and we undervalue the caregivers and the role that they play in healing. I can promise all of you that I would not be sitting here alive today if it hadn’t been for my wife. Tim: Thank you all. And the last question here, so many people were just wondering, what are the chances for them to be well? They’re looking for hope and I think you all both had such powerful stories. If you could just close with any last words of wisdom to help people out there. I would say change is here, and more change is on the way. The thing I used to tell my patients, my cancer patients is “Try to stay as healthy as you can because when the cure comes…” and people say to me “My doctor says there’s not going to be a cure for these diseases.” I’m not somebody who likes to give false hope but I’ll say “If we can cure metastatic cancer, which is mutating every minute that you watch it, I refuse to believe that we can’t cure these diseases.” If that’s not hope than I’m not sure what else I could say. Dr. Rawls: I think the big thing again is being accountable. The people that get well from anything, I think, Lyme disease, cancer anything else, the ones that get well … all these technologies are wonderful and all these things that we’re doing, but if that person doesn’t take personal accountability for their own well being, if they’re not putting forth the effort to do the things that they need to do to help their body to heal itself, then it’s just not gonna happen no matter how good the technologies are. I think that’s important. I think learning about yourself, that self discovery process, and that’s something that I’ve been through with so many different kinds of patients, Lyme, fibromyalgia, everything else. People that come through it and they’re on the other side, it’s like crossing the Atlantic ocean I tell them or climbing Mt. Everest. When you do that, when you learn the things that you have to do to create a healing environment in your body, you learn special skills that no one else on Earth has. People that go through that recovery process and they end up on the other side, they’re different people. They all wanna give back because they’ve had this profound thing happen and it’s really special. It’s a life changing. I know it has been in your case and mine. I look back at how this thing has changed my life and it’s given me opportunities that I wouldn’t have had before. My life was compromised for a long time.It’s hard to trade it for all the things that it’s meant to me. I think you have to embrace that. Dr. Spector: Can I make one last comment? Dr. Spector: One last for me? One more comment or are we done? That may be something growing in their body, but they are a loving mother, they’re … you know. One of the things that helped me was, I tried not to define myself as “Neil Spector someone with cardiomyopathy.” I tried to live every day as meaningful as I could. Some days like you said, I didn’t feel like getting up. But you know what? I never let the disease get to me. Trust me there were days — I lived with a defibrillator pacemaker — and there were plenty of times when I was one foot in the grave and one foot still on terraforma and living every day with a sort of Damocles over my head that I could die at any minute. I get it. I understand what it’s like out there. But do not walk around saying “I’m so and so with Lyme disease, poor me.” That’s not who you are. And again, I’m not saying it’s easy but you’re not who your body, you’re not an ailment okay? [01:24:00] If there’s one thing, walk away, take control of your life. Seek out the best care you can. Do not let a disease define your life. Tim: Awesome. Thank you guys. We could go on forever. I know there’s so much to share and I really hope everyone has benefited from hearing all the wisdom from both of these really passionate doctors about this field. [01:24:30] I want to thank you Dr. Spector and Dr. Rawls for being here tonight and answering all the questions that you did. Dr. Rawls: Thank you Tim. Dr. Spector: Thank you for the whole crew. It’s an amazing group here I really appreciate all your help. Thank you again for having me here. Dr. Rawls: No it’s a pleasure I hope we get to do it again some time. Tim: Hope so too. Thank you for being our special guest tonight Dr. Spector and hopefully we’ll see you two together on an another webinar soon. Tim: Thanks everybody for sticking around through this. We hope you got a lot out of it. You know these are some really interesting stories. If you want to know more about Dr. Spector’s story we encourage you to check out his memoir Gone in a Heartbeat: A Physicians Search for Healing. We just did a review on that recently at RawlsMD.com, and you can read a summary there. And if you want to purchase it you can find it at Amazon. Then also, Dr. Rawls book Unlocking Lyme. Less of his personal story but more of just a wonderful resource for Lyme, which is a great model of a lot of chronic illnesses and there’s a lot of overlap. You can find that at Unlockinglyme.com. Then also we’ve recently updated one of our most popular articles called The Boiling Point, and it touches on a lot of the issues that we’ve talked about tonight and many more. Highlighting a lot of natural approaches that can be really supportive for Lyme, fibromyalgia and chronic fatigue and other similar conditions. So we’re going to be releasing that soon. We’re really excited about it and we’re going to be sending you all the first release of that for a thanks for attending this webinar. So keep an eye on your inbox for that. Thanks again for being here. We hope you tune in for future webinars with us. We will be having some more in just a couple of weeks. We’d love to have your feedback for the webinar tonight so when you exit the webinar if you could participate in the super quick quiz or survey, just let us know what you thought, a little five star rating and any other thoughts about how we can improve this or what worked really well. We would greatly appreciate it. Have a great night and we will see you on the next webinar. Goodbye.